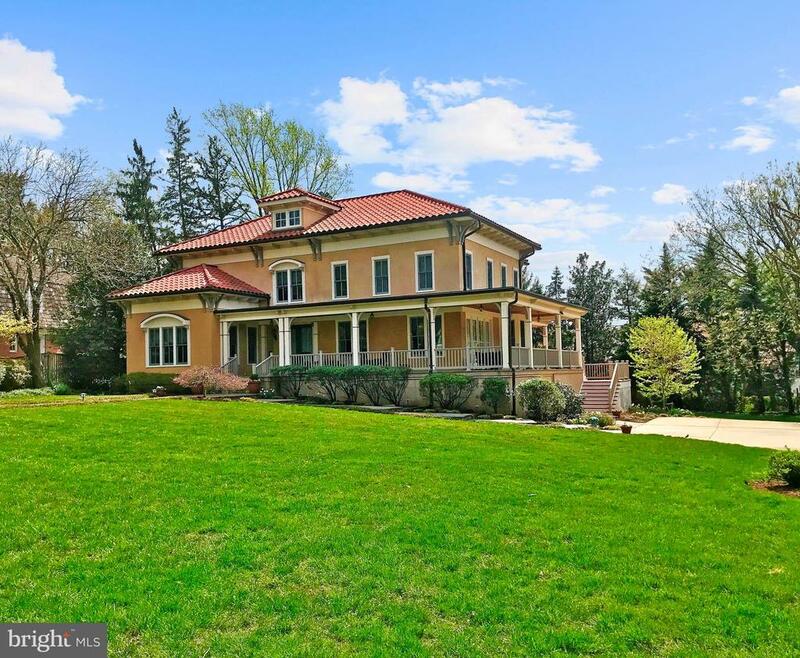 All Bethesda homes currently listed for sale in Bethesda as of 04/23/2019 are shown below. You can change the search criteria at any time by pressing the 'Change Search' button below. If you have any questions or you would like more information about any Bethesda homes for sale or other Bethesda real estate, please contact us and one of our knowledgeable Bethesda REALTORS® would be pleased to assist you. "INCREDIBLE NEW MASTERPIECE BY ACCLAIMED MAGRUDER DESIGN BUILD AND GTM ARCHITECTS! THE FINEST IN MATERIALS + WORKMANSHIP COMBINE TO PRESENT THIS SPECTACULAR HOME THAT WOWS AT EVERY TURN. BEAUTIFULLY SITED ON 1 ACRE LOT W/ FABULOUS POOL HOUSE + SALT WATER HEATED POOL ON ONE OF BETHESDA'S MOST DESIRABLE STREETS. SEE TOUR." "This one will stop you in your tracks. Singularly spectacular, unparalleled & uncompromising in quality, every square inch is perfection; so beautiful throughout, you won't want to leave. Outside, your personal oasis w/one acre park-like estate setting surrounded by tall towering trees, acres of prklnd. This classic home has a timelessness that is without equal. Life is short.Don't settle for less"
"EXTRAORDINARY FOUR YEAR OLD CUSTOM HOME DESIGNED BY AWARD-WINNING GTM ARCHITECTS AND CONSTRUCTED BY ACCLAIMED SANDY SPRING BUILDERS WITH INTERIOR DETAILS BY NATIONALLY RECOGNIZED INTERIOR DECORATOR GERALD SMITH. UNPARALLELED FINISHES, MATERIALS AND EXPERT WORKMANSHIP DEFINE EVERY SQUARE INCH OF THIS SENSATIONAL PROPERTY. DESIGNED FOR A FULL SERVICE ELEVATOR, THIS GORGEOUS HOME FEATURES A STUNNING GOURMET KITCHEN, FANTASTIC FR WITH VOLUME BEAMED CEILINGS, MAIN LEVEL CLUB ROOM WITH CUSTOM MILLWORK AND BAR, FABULOUS MASTER BEDROOM SUITE WITH VAULTED WOODEN BEAMED CEILING AND PRIVATE BALCONY, PLUS TWO LIBRARY/OFFICES (1 ON THE MAIN LEVEL AND 1 ON THE UPPER LEVEL). THE EXPANSIVE OUTDOOR WRAPAROUND TERRACE OVERLOOKS AN EXQUISITE 30,000+ SQUARE FOOT PROFESSIONALLY LANDSCAPED AND PRIVATE YARD. FURTHER ENHANCING THE PROPERTY IS FOUR-CAR GARAGE PARKING AND A NEARBY PATH ACCESSING THE VIBRANCY OF DOWNTOWN BETHESDA." "This spectacular custom home features the finest in materials & craftsmanship with 11,000+ sq. ft, showcasing five bedrooms, (can be 6), seven stunning new full baths & one half bath on a beautifully landscaped one acre lot. The expansive Great Room opens onto a professional chef's kitchen with a dramatic 14' island--perfect for culinary fetes. The luxurious new master bath offers dual marble bath & dressing areas. The Must See lower level is complete with a sensational seated bar. The gorgeous exterior features a two level stone & brick patio with a heated pool & outdoor stone fireplace. 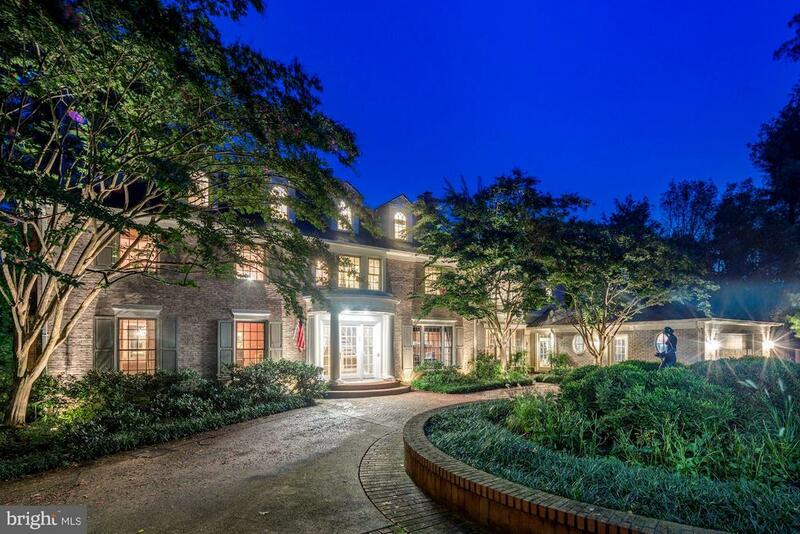 This magnificent home is the epitome of luxury living inside the Beltway, located minutes to award winning public/private schools, downtown Bethesda, DC, Tysons & Amazon's HQ2. Please call listing agent for more information. Additional one-acre lot also available. Agent/Owner. Appt only. Request 24 hr. notice. www.8921burdette.com"
"This thoughtfully designed new construction estate brings together a timeless Hamptons shingle exterior with a functional and on-trend modern and open interior. Walking through the front door will immediately draw you to the backyard as the large sliding glass panels join the interior and exterior space. This home boasts an expansive master suite, five additional bedrooms with private en-suite bathrooms, gourmet kitchen with Wolf & Sub-Zero appliances, theater room, wellness center, in-ground pool and the option to have a finished 3rd floor. Conveniently located just minutes from Downtown D.C., Bethesda, Potomac, Chevy Chase, Tysons Corner & Arlington as well as some of the areas highly sought after public schools and top private schools including Bullis, Landon and Holton-Arms." "This exquisite home in one of Bethesda~s most sought after neighborhoods is nestled on a beautiful half acre lot. The house was designed by Studio Z and constructed by award winning Sandy Spring Builders. The interior details were designed by nationally recognized interior decorator Gerald Smith. Upon approaching this home you will be awed by the inviting large porch with slate flooring. Unparalleled finishes, materials and expert craftsmanship cover every inch of this sensational property. The main level boasts a formal living room, banquet sized dining room, study and a family room with knotty pine walls, coffered ceiling and a travertine fireplace. The kitchen is truly a chef~s dream come true filled with top of the line appliances, cathedral ceilings, Spanish cedar ceiling trim and a stone fireplace. Walk up the dramatic main stairway to the upper level where you will discover an owner~s suite complete with sitting area and balcony. The suite includes his and her walk in closets, dressing area with built in dresser and a spa like bathroom. There are three additional generous sized bedroom, two full bathrooms and an office also on this level. Last but not least the lower level is expansive and complete with wet bar, recreation room, bedroom and full bath. The backyard is professionally landscaped with English gardens, an irrigation system, and a slate patio. Located just blocks from downtown Bethesda in the Edgemoor area, this lovely home is ready to embrace your family and entertain your friends." "This is the perfect custom built home! Beautifully proportioned, with exquisite finishes and one of the best back yards I've seen. Every detail amazing, w/ the most tasteful finishes, including home theater, gym, sport court, detached apartment above garage, chef's kitchen, screened porch, 2 car attached and 2 car detached conditioned garages, smart home, back staircase, on & on!" "This stunning home is located in the heart of the neighborhood and was recently remodeled and designed by the award-winning firm, Ella Scott Design. 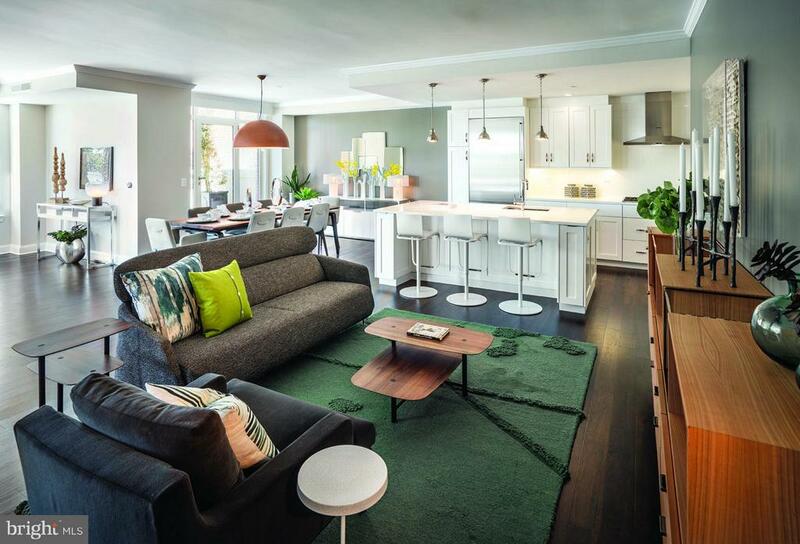 The open floor plan blends traditional details with a clean modern aesthetic. High ceilings, luxurious finishes throughout, grand-scale rooms, plus a gorgeous, flat backyard. Gourmet kitchen with high-end, integrated appliances, over 2~ marble counters and a show stopping island with leathered granite opens to the family room with a marble fireplace and wall of windows overlooking rear terrace and gardens beyond. Second level features private master suite with new en-suite bath featuring glass shower, two marble topped vanities and free-standing tub. A two-car garage with studio above completes the exquisite property. Perfect location ---steps to Downtown Bethesda, Metro and The Edgemoor Club." "Beautiful new season - beautiful home! Spectacular custom-built Mediterranean villa, nestled in one of Bethesda~s loveliest neighborhoods, with quick access to the 495 and just minutes from downtown Bethesda. Few homes in DC boast such European luxury and elegance: marble, limestone, custom doors and windows, Italian cabinetry; and above all, solid construction. The home is enhanced by sophisticated architectural detail throughout: elaborate moldings, archways, ceiling detail, designer lighting, etc. While very spacious, the floor plan invites both comfortable, intimate family living as well as lavish entertaining with its open floor plan and easy flow for either small gatherings or larger receptions. The fully equipped catering kitchen off the garage facilitates entertaining, so the main kitchen can remain a chic showcase without the cooking clutter or, if desired, closed off by the large pocket doors between the kitchen and sitting areas. On the upper level, there are four large bedroom suites and fantastic closet space. The chic walk-up basement offers a most unusual amenity ~ three bedrooms, ideal for in-laws, a nanny suite, or service ~ private and with independent access. Additionally, the lower level has two bars, a fireplace, two large rec areas, a gym, and plenty of storage closets. The home, with its gracious exterior of limestone, stucco, and stone, has majestic curb appeal enhanced by its placement, set back from the road at the highest point of the lot, for maximum sunlight. The professionally landscaped lot is resplendent with mature shrubbery and trees, supported by an in-ground irrigation system and ample landscape lighting. Enjoy the large stone patio by the heated pool for summer fun or cozy nights around the outdoor fire pit. Four car garage. Flexible timeline." "PRICE REDUCTION Rare property in EDGEMOOR located just 3 blocks to downtown Bethesda and the Metro with a 3-car garage, main level master & ELEVATOR, designed by Glenn Fong and built by Jim Gibson Builders in 2005! Some of the many spectacular features include: Beautiful European style stucco exterior with Kolbe windows. Exquisite gardens & landscaping w/pavers and huge wrap-around driveway. Private patio accessed via French doors from family room & master bedroom. Custom bronze and hand-wrought iron entry doors and stairwell railings. 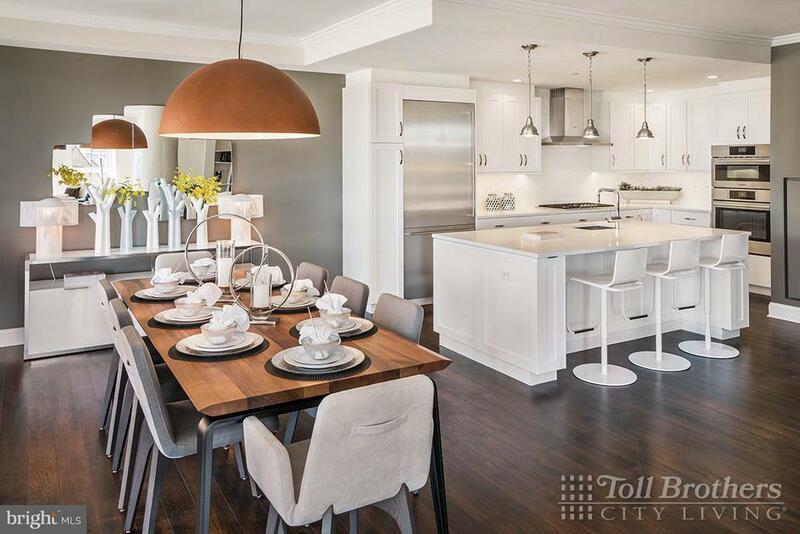 Glorious light-filled open floorplan in living/dining/library with 10~ ceilings. Stunning oak-paneled library w/coffered ceiling & carved arched bookcases. Dual sided fireplace in library & living room, mantle imported from France. Solid oak flooring w/4~ planks throughout main and upper levels with no thresholds. Spectacular gourmet kitchen w/52~ high upper custom frameless cabinets by Premier, dual fuel Wolf industrial range w/ 6-burners, griddle & pizza stone along with 2 Miele dishwashers, Miele coffee system and 46~ refrigerator, huge kitchen island w/antique Jerusalem limestone & counter seating. A large breakfast room w/built-in office desk and cabinetry overlooks the patio. The spectacular family room with walls of windows & wood clad vaulted ceiling is flooded with sunlight. Huge main level master suite with 2 walk-in closets & marble bathroom plus 4 very large en-suite bedrooms on upper level w/large walk-in closets. The lower level family room, bedroom w/bath, exercise & future media room. Heated stone floors in kitchen, foyer, halls and bathrooms on main level. A whole-house generator and water filter, central vac & exterior irrigation system help make this home low-maintenance!" "NATIONAL SALES EVENT (4/5- 4/28): UP TO $100K CLOSING COST CREDIT ~ INQUIRE FOR DETAILS!GREAT NEW PRICE, FANTASTIC VALUE! Great opportunity to own brand new condo in one of Bethesda's premier buildings, Hampden Row. Ranging in size from 1,685 sf to 2,870sf these luxury condos feature open floor plans, highest quality appliances, 9' ceilings, garage pkg etc. The building has a 24hr attended lobby, residents' lounge, rooftop fitness center &landscaped rooftop terrace." "New price & open Sunday 3/31 from 2-4PM. Exquisite custom home in sought-after Edgemoor that exudes grace and style. Pairing innovative planning and expert design, this Mediterranean influenced residence was built by esteemed local builder, Larry Cafritz. Tasteful finishes throughout include Brazilian walnut floors, ironwork by renowned Russian sculptor Nikolai Pakhomov, textured wall coverings and custom window treatments. Elegant room sizes, luxurious master suite, artist studio and an elevator complete this magnificent property. 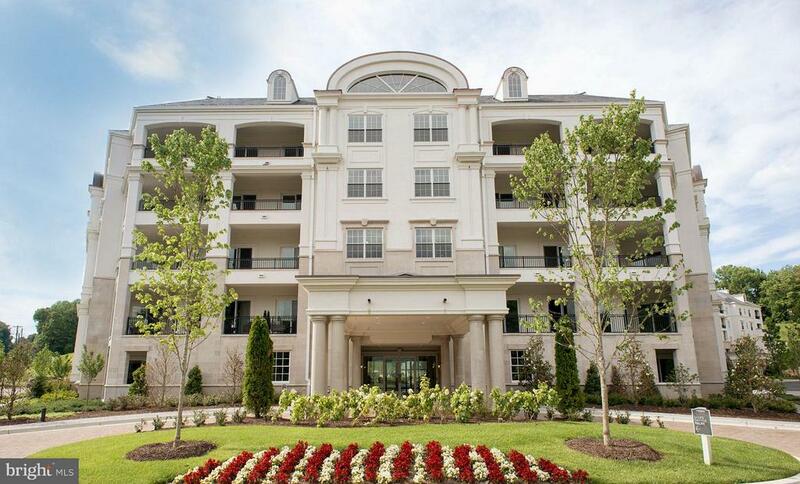 Perfectly situated in the heart neighborhood with access to The Edgemoor Club and everything downtown Bethesda has to offer." "THIS STUNNING CONNECTICUT YANKEE INFLUENCED COLONIAL HAS BEEN RECENTLY RENOVATED THROUGHOUT AND FEATURES A FABULOUS FLOOR PLAN IDEAL FOR BOTH FULL SCALE ENTERTAINING AND COMFORTABLE FAMILY LIVING. THE MAIN LEVEL HOSTS A SPECTACULAR GOURMET KITCHEN WITH ADJOINING BREAKFAST ROOM WITH FULL PICTURE SURROUND AND FAMILY ROOM WITH STONE FIREPLACE AND BEAMED CEILING. FORMAL LIVING AND DINING ROOMS FEATURE CUSTOM CROWN MOLDINGS AND HARDWOOD FLOORS WHILE A PRIVATE LIBRARY WITH BUILT IN CABINETRY AND BOOKCASES CONTAINS EXTERIOR FRENCH DOORS ACCESSING AN EXPANSIVE PRIVATE DECK. FURTHER ENHANCING THE HOME IS A SENSATIONAL MAIN LEVEL MASTER BEDROOM SUITE WITH DESIGNER LUXURY BATH AS WELL AS TERRIFIC SCREENED PORCH OVERLOOKING THE BREATHTAKING VIEWS OF THE CONGRESSIONAL COUNTRY CLUB GOLF COURSE. THE UPPER AND LOWER LEVELS ARE COMPLETE WITH FOUR ADDITIONAL BEDROOM SUITES WITH FULLY RENOVATED BATHS, GAME ROOM, EXERCISE ROOM AND MEDIA ROOM. IN ADDITION TO A THREE-CAR ATTACHED GARAGE IS A TWO-STORY DETACHED TWO CAR GARAGE/CARRIAGE HOUSE WITH FULL SERVICE ONE-BEDROOM APARTMENT. THE PRIVATE LEVEL BACKYARD INCLUDES A LARGE SWIMMING POOL WITH EXPANDED DECKING IN ADDITION TO A FULL-SERVICE POOL HOUSE/CABANA. LOCATED ON ONE OF THE MOST DESIRABLE STREETS IN BETHESDA, THIS SPECIAL AND UNIQUE HOME IS FOR THE MOST DISCERNING BUYERS. ABOVE GRADE SQFT DOES NOT REFLECT FINISHED SPACE IN HOME." "AMAZING EDGEMOOR-AREA HOME! 7116 Fairfax Road is a stunning home blocks from downtown Bethesda. Built in 1915 but completely expanded and redesigned in 2001, this home combines the best of old world charm and modern comfort. This home is locally renowned for its 2001 transformation, which earned the 2001 Contractor of the Year Award from the National Association of Remodeling Industry and the 2003 Potomac Valley American Institute of Architects Award. The interior features 5,359 square feet on three levels, and: ~The Main Level includes a grand foyer, a formal living room and a dining room ideal for large-scale entertaining, a kitchen with peninsula and breakfast room, a sunny family room with high ceilings and wood burning fireplace, an office (seventh bedroom possibility) and a full bath, as well as a picturesque wrap around porch and an expansive deck overlooking the beautiful yard. ~The Upper Level features six good size bedrooms, three bathrooms (including a spacious master bedroom with walk-in closet and master bath with separate vanities, shower and bathtub), and an office. ~The spacious Semi-Finished Basement includes a Rec room, a game and/or exercise room, laundry, and a bike and canoe storage room. The property is located on a professionally landscaped, flat, expansive 0.70 acres (30,656 square feet) lot with a wrap-around covered porch, deck, patio, parking for six plus cars, and garden. A block from Metro and Bethesda Row, this home combines a private oasis of suburban living with convenient access to every downtown amenity. Property Information: Year Built: 1915 Year Renovated & Expanded: 2001 Lot Size: 30,656 square feet (0.70 Acres) Interior Square Feet: 5,359 square feet on three levels Estimated Future Taxes: $16,559 Schools: Bethesda Elementary, Westland Middle School and BCC High School." "This stunning manor previously home to television journalist, Howard K. Smith has been restored with thoughtful design, sophisticated architecture and modern amenities with functionality in mind. Located on a private cul de sac set high on a hillside with unparalleled Potomac River views, it is buffered from future development by three acres of protected woodland. The main level~s bright and open floor plan features a number of spacious rooms designed for everyday living and full-scale entertaining. It includes an elegant living room with marble fireplace, formal dining room with a gorgeous crystal chandelier, as well as a breathtaking study complete with surrounding wooden built-in bookshelves and floor to ceiling windows providing ample natural light. The gourmet kitchen is sure to inspire your inner chef featuring quartz countertops, Sub-zero fridge, a Wolf six-burner range, dual ovens, and warming drawer. Upstairs the master suite acts as a luxurious haven, complete with detailed crown moldings, a spacious walk-in closet with built-ins, and a spa-like ensuite bath ensuring complete relaxation. A private elevator may take you to all floors including the utmost level with an expansive recreation room and additional bedroom. A peaceful retreat located steps away from shops, restaurants and a grocery store this home has it all." "EXQUISITE CRAFTSMAN HOME SITUATED ON A 1+ ACRE LOT IN BETHESDA. Welcome to this fabulous Arts and Crafts home with a stately setting in the highly desirable Bannockburn community. The open floor plan features well-proportioned sun-filled rooms -- ideal for full-scale entertaining as well as comfortable family living. From the dramatic two-story foyer with curved staircase, to the exquisite gourmet kitchen with adjoining breakfast area and butler~s pantry, to the wonderful views, this home has it all. Two dishwashers, two disposals, two sinks, cooktop with griddle, 48~ refrigerator, and large walk in pantry complete this gourmet kitchen. The main level is enhanced with a coffered ceiling family room; custom moldings; wine bar and fridge; gas fireplace; and an office with built-ins. The bedrooms, all with en-suite baths, are incredibly spacious! Master bedroom boasts a gas fireplace, walk-in closets, and custom bathroom finishes. The lower level features a bedroom, full bath, exercise room, media room, and large recreation/game room with fireplace and with walk-out access to the gorgeous grounds, The incredible backyard is framed with mature trees and boasts a heated swimming pool, hot tub, deck, patio and extensive professional landscaping. The home features a 2-car attached garage and 2-car detached heated garage with a bonus room and full bath in the upper level. For ease of living and great convenience, the home includes a second staircase, a mudroom with a half bath on the main level and an expansive laundry room on the bedroom level. Ideally located in close-in Bethesda, the home is convenient to shopping, restaurants, parks, I-270, I-495, three major airports, and the liveliness of both downtown Bethesda and Washington, D C."
"EXTRAORDINARY CUSTOM HOME (9300+SQFT) BY ACCLAIMED SANDY SPRING BUILDERS. DRAMATIC ENTRY FOYER, STUNNING KITCHEN + FAMILY ROOM, MORNING ROOM + EXQUISITE LIBRARY. PRIVATE UPPER LEVEL STUDIO + EXPANSIVE FINISHED LOWER LEVEL. INVITING WRAPAROUND PORCH. EXCEPTIONAL MATERIALS, DESIGN + FINISHES. FABULOUS LOCATION ONLY BLOCKS TO HEART OF DOWNTOWN BETHESDA." 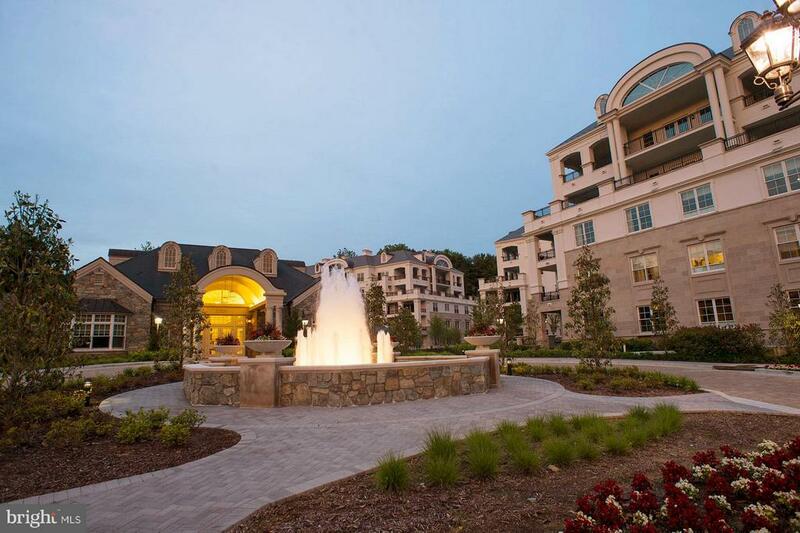 "** Bethesda's ultimate condominium development. Quarry Springs is a masterfully designed 13-acre resort-style sanctuary with 24 hour gatehouse, valet parking, cascading waterfall, terraced landscape, walking paths and gardens. An expansive Clubhouse for residents features pool, grand salon, lounge, fitness enter, yoga studio and locker rooms. Model Homes now for Sale! 75% SOLD - CLOSE OUT PRICING! Call for appointment." 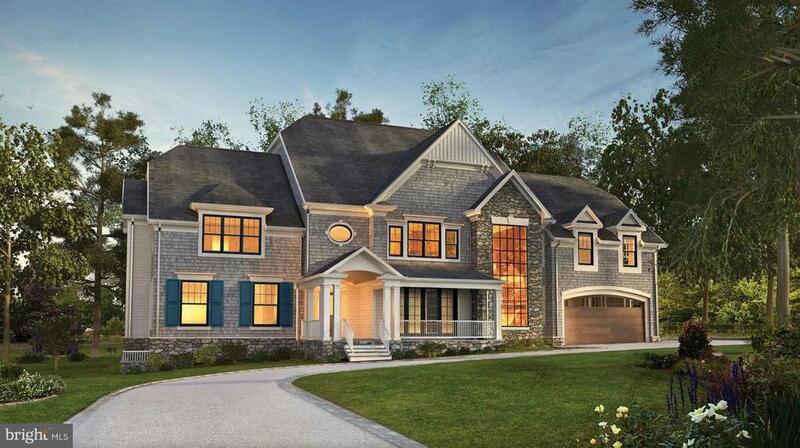 "Absolutely STUNNING Arts and Crafts colonial completed in late 2018! Over 7,800 sq ft with 4 finished levels on over a 1/3 acre premium lot. Main level open floor plan boasts a gourmet kitchen with Thermador appliances, Cambria Quartz countertops, 10 ft ceilings, butlers pantry, beverage station, huge formal dining room, private study, screened porch with stone fireplace, deck and covered front porch. In the lower level you'll find a custom built bar alongside a wall of glass looking into the incredible wine cellar. There is also a home theater, 2 bedrooms (1 could be an exercise room or studio), full bath, another half bath, AND a separate DOGGIE shower with a room of it's own! On the upper level there is a spacious master bedroom suite with a luxurious master bath, 3 additional large bedrooms, all with ensuite baths. Third level is a HUGE bonus with a family room, bedroom and full bath! Hardwood floors on all 4 levels, custom, high-end, lighting throughout, and unparalleled craftsmanship. Thoughtful custom touches and true attention to detail. Large lot can easily accommodate a swimming pool!" "FABULOUS NEW EDGEMOOR LISTING! 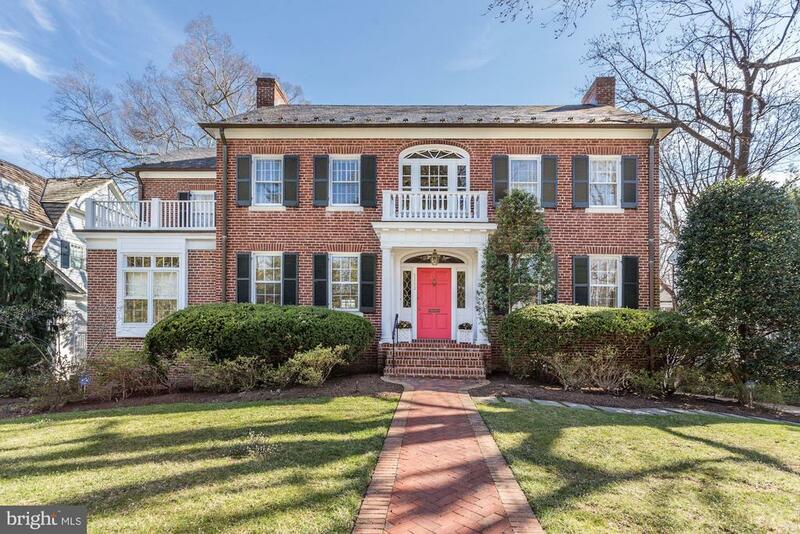 Located in the heart of Bethesda, on Edgemoor's premier street, 5202 Edgemoor Lane is an exemplary Georgian Colonial blocks from the Metro and Bethesda Row and around the corner from the Edgemoor Swim and Tennis Club. Built in 1923, this lovely home has been thoughtfully expanded and renovated. The expansive floorplan includes 5,847 square feet of interior living space on four levels. ~The main level features: a gracious foyer with nine foot ceilings, a large gracious living room with wood burning fireplace and French doors leading to the covered porch, a wonderful library with built in bookcases and ten feet ceilings, an expansive dining room perfect for hosting large gatherings, a bright and sunny kitchen leading to an English conservatory and the beautiful yard, and a powder room. ~The upper level features an open computer room/study space, three bedrooms, and three bathrooms (including a gracious master suite with fireplace, walk-in-closets, two master bathrooms and laundry). ~The second upper level includes: two good size bedrooms, a full bathroom, and plenty of storage. ~The lower level offers: a spacious partially finished Rec room with high ceilings, a wine cellar, full bathroom, a second laundry room, and rear entry garage. Located on a 12,240 square foot (0.28 acres) lot, the grounds are private and feature picturesque English-style gardens. This is truly one of Edgemoor's finest homes!" "** REDUCED PRICES! MODELS OPEN! New estate condos for immediate delivery with private elevators,wide plank hardwood flooring, gas FP, recessed lighting+large private terraces. Designer kitchens w/ wolf appliances, solid wood cabinetry, marble counters+island/breakfast bar. Amazing amenities+services incl fitness center w/ yoga studio, pool, daily valet, 24 hour attended gatehouse+clubhouse. Please call to schedule appointment." 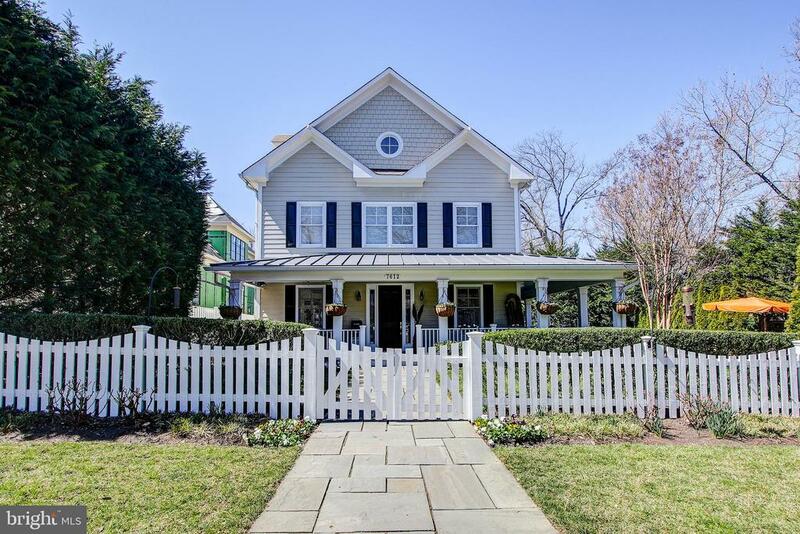 "Situated on a tree lined street in Edgemoor, one of Bethesda's premiere neighborhoods this exquisite home offers a spacious and open floor plan. Recent updates completed with a designer's attention to detail create four levels of amazing and dramatic living space! This house is perfect for anyone looking to entertain or relax in a serene setting. Walk up to the inviting front wraparound porch with ample room for sitting and enjoying the outdoors. Once in the front door you will be impressed with the layout of the first floor. Immediately to your left you will find a study and to your right a grand staircase. Continuing along the main level you will next discover the living room with fireplace and dining room. The kitchen opens into the family room and includes a breakfast bar, top of the line appliances, and large pantry. On the 2nd level you will discover three nicely sized bedrooms, two sharing a Jack and Jill bathroom . The third bedroom on this level includes a walk in closet and uses the hall full bath. The grand master suite, also on this level, boosts a custom built walk in closet and spa like bath. The top floor includes two additional bedrooms, a full bath, and a work out area. The finished lower level hosts a home theater, full bath and bedroom. Located just steps from downtown Bethesda, this spectacular home is ready to embrace you and your family and friends." "NATIONAL SALES EVENT (4/5 ~ 4/28): UP TO $100K CLOSING COST CREDIT ~ INQUIRE FOR DETAILS! GREAT NEW PRICE, FANTASTIC VALUE! Great opportunity to own brand new condo in one of Bethesda's premier buildings, Hampden Row. Ranging in size from 1,685 sf to 2,870sf these luxury condos feature open floor plans, highest quality appliances, 9' ceilings, garage pkg etc. The building has a 24hr attended lobby, residents' lounge, rooftop fitness center &landscaped rooftop terrace." 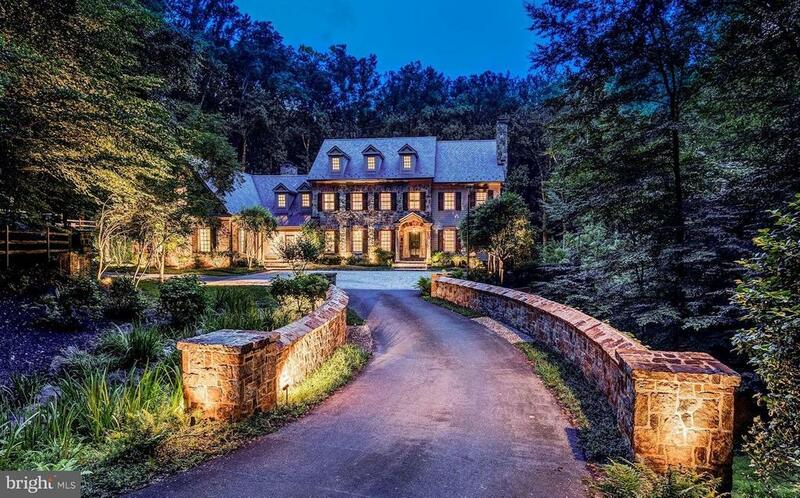 "Lush, private one-acre estate in Bethesda! This elegant gem was completely renovated in 2000---including resort-style pool compound---with high-end amenities. The award-winning kitchen was designed by Jennifer Gilmer and artfully enhanced by Clive Chrestian Cabinetry. Enormous owner's suite oasis featuring sitting room, stunning closetry, spa bath with steam shower & sauna. Life is Good on Armat!"